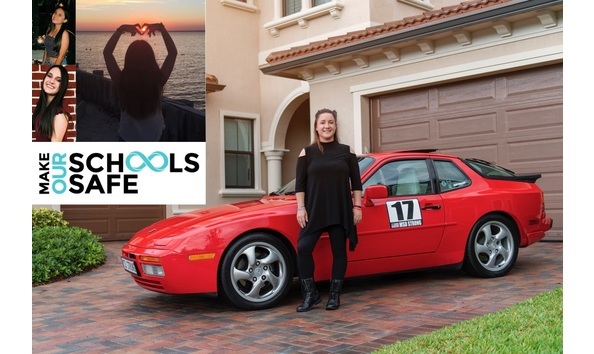 This car was donated by the Johnson family in memory of Alyssa Alhadeff and the 17 victims of tragedy at Marjory Stoneman Douglas High School on February 14, 2018 in Parkland, Florida. 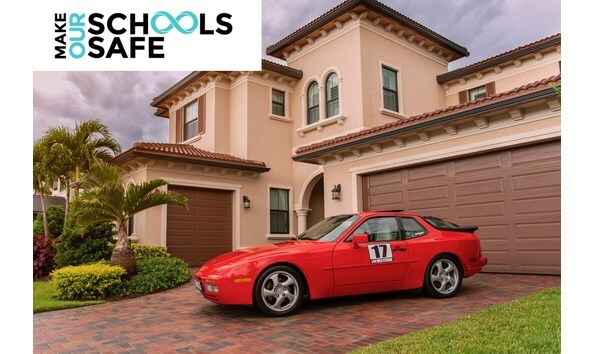 This Porsche 944s2 is number 363 of only 450 imported into North America (VIN WP0AB2945LN450363). 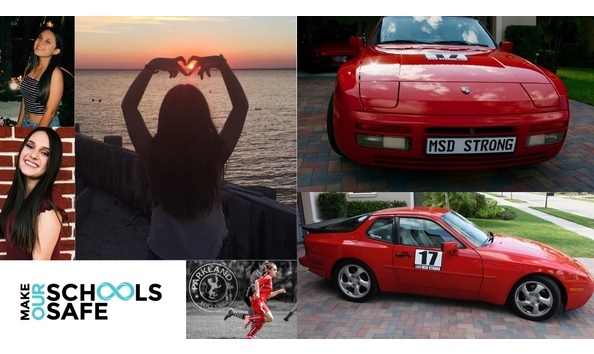 The splendid balance, the power of the 3.0 engine, and the beefier transmission sent many to the racing circuits. Lift the top and DRIVE IT. Rated at 149 mph. 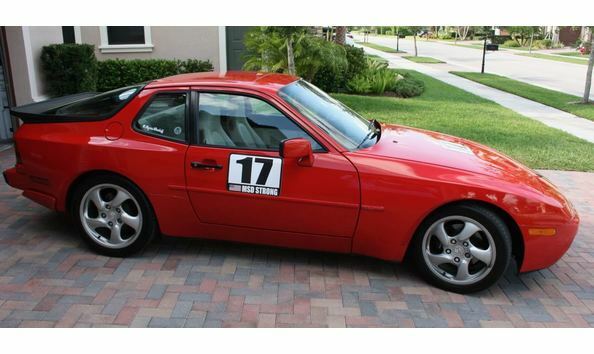 This Porsche shows 150k miles and is in Excellent Condition-It's been garage kept, maintained by a mechanic-No mechanical issues-Very minor cosmetic. Original Guards Red Paint, Very Clean Car!!. The car is built and maintained to last forever. All service records since 1993 included. More images are located here. A complete clutch and bearing replacement service was performed in 2017 by TuneRS Motorsports, Coral Springs Florida. 3rd Owner completed timing belt service in 2014. This included were the water pump, balance shafts, oil seals, toothed and major belts, camshaft (distributor) case, air vent hose and more (detailed invoice included with car). Sudden timing belt failures destroy engines, which often cost more than the car itself. Yet, this S2 is healthy and prepared for at least the next 40,000 miles. Always garaged by current owner since 2015. 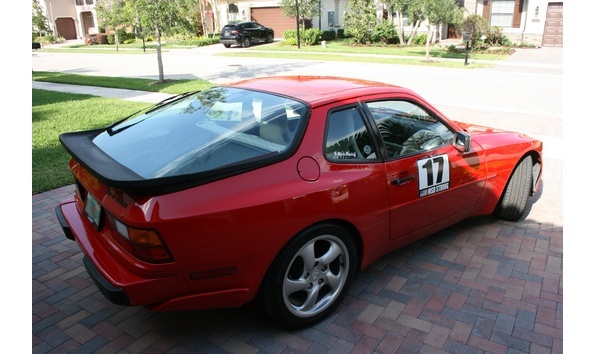 The odometer has been repaired for common 944 failure (plastic odometer gear). Now reads at approx. 140,000, however actual near 150,000. The car was driven very little since 2009, weekend driver. 3rd owner garaged car from 1996 - 2015, when purchase with 65,968 miles. Oil changes and tire wear will attest to very low mileage during the time span. Interior: The condition of the off-white interior leather and carpet is amazing. The white carpets have always been protected with gray Porsche carpet mats, left and right, front and rear so the original carpets are nearly new looking. The white luggage compartment, protected through the years by the “roller-shade” cover, is also fresh and new looking. Exterior appearance: Front end stone nicks were filled regularly. The car has been garaged, kept clean, polished and waxed, thus always the source of wide-eyed compliments. Two areas of the car have beautiful clear coat finishes, having been repaired by a Cincinnati Porsche restoration company. The right door and rocker were deeply scarred by a boulder scrape, and the rear lower airflow wing and several other rear trunk panels had to be replaced (12/2004 detailed invoice included with car). The restoration experts produced perfect repairs with quality parts and invisible blends. No alignment problems. Car runs true. Disclosure: All gages function normally, although the low-fuel warning light stays on regardless of fuel level. The digital clock / timer operates although the lower part of the face is fogged.